MONTREAL, ON – McAuslan Brewery has announced the release of the latest in the Barrel Collection Series of limited edition barrel-aged beers. We first brew our St-Ambroise blonde barleywine with a combination of three great malts, each of them bringing their own unique characteristics of flavour. We then add three of the finest English style hops to give it an herbal and slightly spicy aroma. Finally we age the beer in bourbon barrels and by doing so, we obtain fine whiskey notes with traces of vanilla and coconut and a rich dark blonde colour. 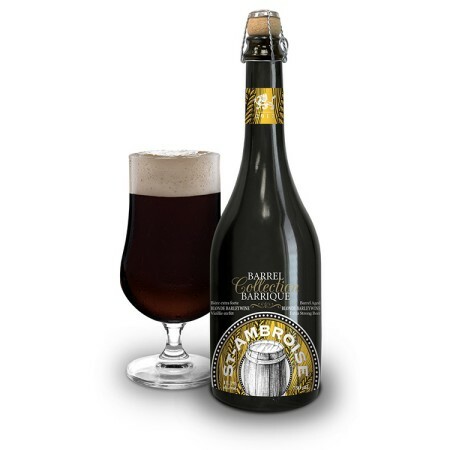 St-Ambroise Barrel Aged Barleywine is available now in a limited run of 750 ml corked & caged bottles at select beer retailers in Quebec.